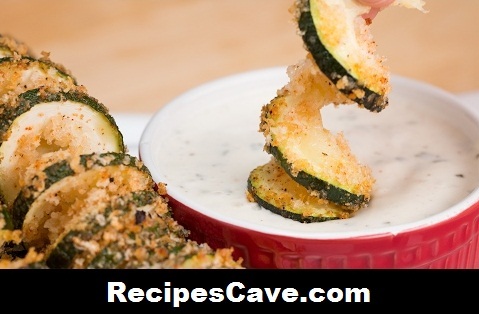 Tornado Zucchini Recipe - this recipe is for people who love to taste something new. Follow the simple steps how to do that. Here is what you'll need to cook Tornado Zucchini for serving 4 peoples. 2. Cut the ends off of the zucchini and cut it in half. 3. Using a bamboo skewer, pierce down the middle of the zucchini and push it down to the center of the skewer. 4. Hold a small knife at an angle and cut the zucchini while turning it the opposite direction that you want the tornado to go in. 5. Spread out the tornado and drizzle with olive oil. Set aside. 6. In a bowl, combine panko, cayenne, chili powder, garlic powder, onion powder, salt, pepper, and parmesan cheese. 7. Sprinkle over zucchini tornado until well-covered, and place on a baking sheet. your Tornado Zucchini Recipe is ready to taste.